Rabbi and Mrs. Solomon Agin are excited to announce they will be hosting a spectacular river cruise on the beautiful Rhine River that will showcase the region’s Jewish Culture. Join them on this Jewish Heritage cruise that features specialty excursions highlighting Jewish-inspired architecture, museums, memorials and more. Sailing June 1, 2019 from Amsterdam, The Netherlands on the scenery filled Rhine River, you will not only have the full experience of Amsterdam, the Venice of the North, but the next two ports will immerse you in the Dutch culture and the country side dotted with windmills. From here you will visit Germany and the magnificent city of Cologne along with its Jewish quarter. After this we visit Oberwesel/Bacharach, a storybook village; Frankfurt with its Jewish Museum and legacy of the Rothschild’s; Speyer/Worms, a World Heritage site with meaningful Jewish heritage; Strasbourg and Alsace’s Jewish past; and finally disembark in Basel to explore its Zionist legacy. Each day cruising the remarkable Rhine will be filled with “Old World” scenery, quaint villages and castles perched atop cliffs once inhabited by the rulers of the region. Along the way you will have the opportunity to visit Gothic cathedrals, and tiny hamlets inhabited by warm and inviting locals. Onboard your gorgeous 5 star ship, you will be treated to impeccable service, delicious dining, unlimited beverages, prepaid gratuities, free Wi-Fi, nightly entertainment, and all inclusive excursions, many created exclusively for Uniworld guests. Due to the popularity of this sailing and its itinerary (It is only offered a few times a year. ), Cruise Everything is only able to offer a limited number of staterooms for a short period of time. These staterooms are on a “first come first served” basis. Please call as soon as possible to make a deposit to assure your reservation. Call our cruise consultant, Herb Tinley at 239-275-1717. Delay may result in disappointment. Uniworld elevates all-inclusive river cruising in Europe to an entirely new level. Uniworld’s guests deserve the absolute best of everything and the difference is truly in the details. Here are some of the unique touches you’ll enjoy onboard this beautiful ship. Arrive at Amsterdam’s Schiphol Airport. If your cruise package includes a group arrival transfer or if you have purchased a private arrival transfer, you will be greeted by a Uniworld representative and transferred to the ship. Enjoy the luxury of a full day in the “Venice of the North,” starting with a private “Morning with the Masters” tour of the Amsterdam Hermitage. Afterwards, visit significant Jewish Heritage sites or explore the city on foot or by bike. Choose from a trio of enticing excursions: Admire the city’s narrow, gabled homes lining the canals on a “Do as the Locals Do” walking tour; explore the hip and trendy Jordaan district on two wheels, the quintessential way to experience this bike-obsessed city; or opt for our Jewish Heritage tour, with stops at the Portuguese Synagogue and Jewish Museum. Cap off the day with a Captain’s Welcome Reception and Gala Dinner. Bacharach is an ancient village that appears straight out of the pages of a storybook. Enjoy a guided stroll through town and taste some locally grown Rieslings, a specialty of the region. Alternatively, join a “Go Active” hike that will take you past the old town walls and up to a fortified 12th-century castle. Venture ashore for a short motorcoach ride to Bacharach, a wine village that appears straight out of the pages of a storybook. Enjoy a guided stroll through town and a taste of locally grown Riesling, a specialty of the region. Alternatively, join a “Go Active” hike that will take you past the old town walls and up to the fortified 12th-century Stahleck Castle, which offers sweeping views of the Lorelei Valley and the village below. Later, relax onboard as your ship cruises through the dramatic scenery of the UNESCO-designated Upper Middle Rhine Valley, lined with picturesque castles and the inspiration for generations of artists, writers and composers. Frankfurt is known as the “Mainhattan” of Europe, a financial powerhouse with soaring skyscrapers as well as traditional Old Town architecture. Experience the city with your choice of adventures today—visit Germany’s oldest museum, take a guided “Go Active” bike ride or learn about the Rothschild family’s rags-to-riches saga. Today we briefly leave the Rhine and cruise the Main to the dynamic metropolis of Frankfurt, the epicenter of German finance and international business. Step ashore and walk a short distance to the Old Town for our “Do as the Locals Do” walking tour. This part of the city has charming old homes, stately churches and a lively covered market where you can sample all sorts of local delicacies. Later, you can visit Germany’s oldest museum, the Städel, with 700 years of European art housed under a single roof. If you prefer, opt for a guided “Go Active” bike ride that takes you through the Old Town, along the Main River promenade and down the city’s world-famous “Museum Mile”—which boasts no fewer than 13 acclaimed institutions. For something completely different, you can spend your time in Frankfurt delving into the city’s fascinating Jewish legacy. Expect the unexpected in Speyer, where ancient treasures harmoniously co-exist with modern day innovation. Take it all in during a walk with a local expert, or—for something really unexpected—venture into a spooky, candlelit tasting room to sample flavorful elixirs made from wine vinegars. Utterly unique and (surprisingly) delicious! A third option is our Jewish Heritage excursion to an ancient center of learning and religion. Join a local expert for a guided stroll through the historic small town of Speyer, famous for its vast Romanesque cathedral, a UNESCO World Heritage Site. You’ll also have some free time to wander on your own, perhaps to have a coffee at a sidewalk café on the town’s bustling central plaza. If you prefer, head to the nearby Doktorenhof vinegar estate for a truly immersive and memorable cultural experience. Discover how the grapes cultivated on this family-run estate are transformed into unique wine vinegar aperitifs, then don a monk’s cloak and sample these rare (and surprisingly delicious) elixirs by candlelight in an atmospheric tasting room. Guests who prefer to take an intimate look at local Jewish history can choose an excursion to Worms, an ancient Jewish center of learning and religion. Strasbourg is invariably described as quaint, a rather overused word that in this case is perfectly apropos. Whether you see it by bicycle, on foot with an insightful local expert or opt to delve into the town’s Jewish past, Strasbourg’s cobbled lanes, half-timbered homes, giant stork nests and impossible-to-resist pastry shops will win your heart. Postcard-perfect Strasbourg is the very definition of picturesque, with its magnificent Gothic cathedral, cobblestone lanes and half-timbered homes adorned with flower-filled window boxes. After docking in town, you’ll have a chance to discover Strasbourg’s many charms with a choice of excursions: A guided “Do as the Locals Do” walking tour of the Petit France district, stopping to try traditional Alsatian treats along the way; a “Go Active” bike tour that covers a bit more ground, including the European district; or an in-depth look at the city’s rich Jewish history, which dates back an astonishing 2,000 years. After lunch onboard, spend the afternoon at your leisure, perhaps shopping for handcrafted souvenirs bearing images of white storks—a beloved symbol of the city. There’s much more to Switzerland than chocolate, cuckoo clocks and snow-capped mountain peaks (although we’re big fans of all these things). The cosmopolitan city of Basel is also a hotspot for contemporary art, was once the epicenter of the Zionist movement and has a historic and elegant charm that make it a delight to explore.You’ll have a choice of adventures today in Basel, a refined and cosmopolitan Swiss city synonymous with art and culture. Our “Do as the Locals Do” walking tour is a delightful way to experience Basel’s medieval town center. Alternatively, take a guided “Let's Go” bike ride along the Wiese River, making a stop at the renowned Fondation Beyeler Museum. The museum’s ingenious architecture is reason enough for a visit; inside, the art collection is equally awe-inspiring, ranging from Monet to Warhol. A third option is our Jewish Heritage tour of Basel, a city considered the cradle of modern Zionism. Choice-Tour features Theodor Herzl and the first Zionist Congress. Celebrate the conclusion of your cruise at the Captain’s Farewell Reception and Gala Dinner. Disembark the ship. If your cruise package includes a group departure transfer or if you have purchased a private departure transfer, you will be transferred to Basel’s EuroAirport Basel-Mulhouse-Freiburg for your flight home. This meticulously designed ship feature enticing public areas and luxurious amenities, including a lounge with full-service bar, well-equipped fitness center, restaurant, Serenity River Spa, and a Sun Deck where you can relax and take in the ever-changing views. In our suites you will find marble bathroom with L’Occitane en Provence bath and body products, plush towels, towel warmer, waffle bathrobes, and slippers. All rates listed are per person, based on double occupancy. Single rates available upon request. Taxes, fees, air, insurance, some meals and other items of a personal nature not included. Taxes and Fees: $250.00 per person. 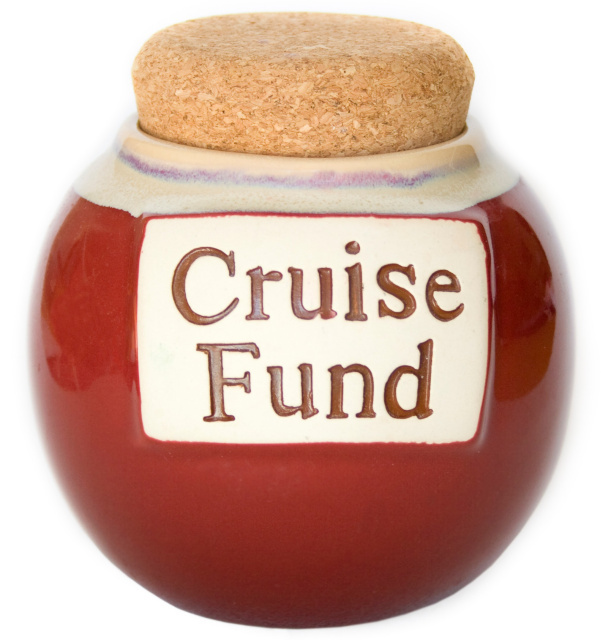 Deposit Due: 10% of Cruise Fare. Terms and Conditions: All bookings are subject to Uniworld Boutique River Cruise Collection and Cruise Everything full terms and conditions. Please see Uniworld Brochure or website for full details. Strictly limited staterooms/suites available on this group departure and subject to availability. Group discounts not combinable with other sales or promotions. Optional Items available at an additional charge: Round-trip airfare from select cities, Travel Guard Cruise Protection Insurance (Highly recommended), some meals on land and other items of a personal nature. Information and pricing is subject to change without notice. Minimum of 22 guests required for hosts to accompany tour. While we do our very best to ensure that information and pricing appearing in this brochure and on our website is complete and accurate, we cannot be responsible for incomplete and inaccurate representations, which may or may not be under our control. In the event of a pricing error, misrepresentation or omission, we reserve the right to adjust the pricing or make any other corrections. Itinerary subject to change. Ship’s Registry is Netherlands. Cruise Everything is proud to be a member of the Cruise Line International Association. Member Number: 00397213. Florida Sellers of Travel Registration Number: ST14302. Cancellation Penalties: Notice received before tour start date. 120 days or more, $200.00 per person; 119 to 90 days prior, 20% of the fare; 89 to 60 days prior, 35% of the fare; 59 to 30 days prior, 50% of the fare; Less than 30 days prior or no show, 100% of fare. Group Fee is always non-refundable.